Modern HTTP and HTTPS .NET library for legacy platforms. Rebex HTTPS is an HTTP and HTTPS library for .NET. It brings TLS 1.2, 1.1, SHA-2, SNI and other modern security-related features to legacy platforms. 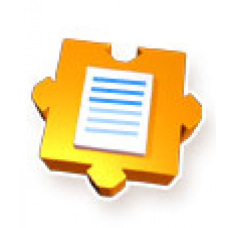 It is designed as a drop-in replacement for HttpWebRequest/WebRequest, WebClient and can be used as an alternative SOAP web services transport layer. TLS 1.2 and SHA-2 certificates on legacy platforms - Trying to download a file from the web or access a secure web service from your .NET Compact Framework application? .NET CF's HttpWebRequest doesn't support TLS 1.2, TLS, 1.1 or SHA-2 based certificates. 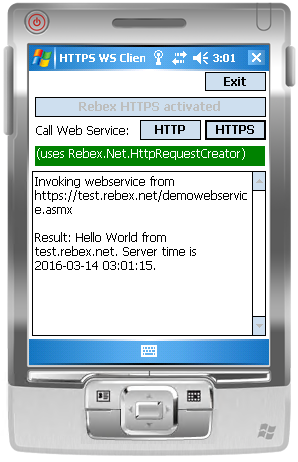 Rebex HTTPS implements modern TLS features on all supported platforms including .NET Compact Framework 2.0/3.x (Windows Mobile 5/6, Windows CE, Pocket PC) and .NET 2.0/3.x (even on Windows XP SP3 or Windows Vista). Drop-in secure WebRequest and WebClient replacement - Replace System.Net.WebRequest's standard HTTPS/HTTP request handler with Rebex implementation that supports modern security standards. Just call Rebex.Net.HttpRequestCreator.Register() and you are (almost) done. Both WebRequest and WebClient are supported. In many cases, there is no need to change your old code (except registering Rebex HTTPS). Drop-in secure WebServices transport replacement - Easily replace the transport layer of SOAP web services with new, secure HTTPS implementation. No need to change your old code (except registering Rebex HTTPS).